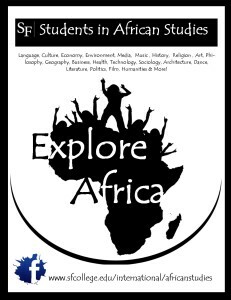 Africa in the Classroom (Michigan State University): The MSU collection of Explore Africa! curriculum resources offers a comprehensive lesson plan organized into five online units: Introduction, Social Studies (includes geography), Humanities, Regional Perspectives and Country Case Studies. 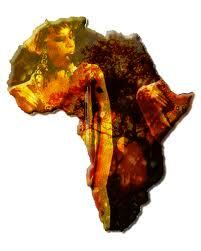 On the line (Oxfam International): Oxfam provides several cultural lessons specifically focused on Mali and Ghana. Africa, a Teachers Guide (PBS): The lesson design is primarily geared toward middle school students, yet it offers a wide range of useful maps and tutorials. TESSA: TESSA is a research and development initiative creating open educational resources (OERs) and course design guidance for teachers and teacher educators working in Sub-Saharan African countries. 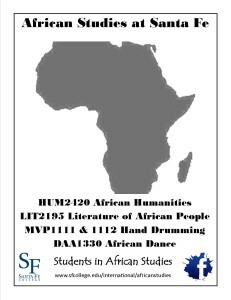 Syllabii Database (UC Berkely): A simple and searchable on-line database of syllabi relevant to African Studies and publicly posted to the World Wide Web. Understanding Sudan: This webportal, sponsored by UC-Berkely, is a set of modules for teachers in high school, college, and universities to integrate Sudan-related content into their courses. Science in Africa: Science in Africa is the first popular science magazine for Africa, founded in 2000. Scientists in a broad range of fields report on their research, giving their expert views on topical issues in science and providing the right information to an African public seeking a deeper understanding of science and of the dynamic role it plays in everyone’s lives. A culture of science is spreading across Africa. Merlot is a a multi-media educational resource for learning and online teaching. 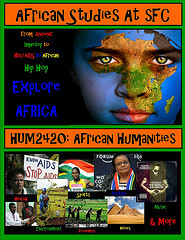 Educators can select from more than 400 teaching resources related to Africa and the African diaspora. 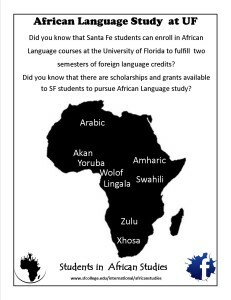 NALRC: The National African Language Center’s mission is to serve the entire community of African language educators and learners in the United States by sponsoring a wide range of educational and professional activities designed to improve the accessibility and quality of African language instruction in the United States. The website hosts an interactive language map of Africa.